Anshul Jain, who quit real estate services company DTZ after it merged with Cushman & Wakefield in late 2015, will join as the head of the merged entity under the C&W brand, multiple people familiar with the development told VCCircle. This will be Jain’s second stint with C&W; he earlier worked with the commercial real estate services company during 2003-2007. The development comes days after VCCircle first reported that C&W India managing director Sanjay Dutt was on his way out after serving for more than four years in his second stint with the company. “An internal communication had been sent to the employees yesterday (Monday) stating the exit of Sanjay Dutt and Anshul Jain taking over as the head of C&W,” said one of the persons cited above. When contacted, Jain said he cannot comment before a formal announcement is made. Later on Tuesday, C&W said in a statement Anshul Jain will replace Dutt as managing director for India. Jain will take charge with effect from 1 July 2016 and will report to C&W’s chief executive for Asia Pacific, Stuart Roberts. Jain’s focus will be to manage and augment C&W’s India operations and to enhance the firm’s service delivery capabilities to clients, it said. “India is a key hub and has always played a significant role to our Asia Pacific platform, and will continue to do so as we expand and invest in our business in line with our regional strategic priorities for 2016 and beyond,” said Roberts. Jain quit DTZ India in October last year after serving the company as chief executive officer for seven years. This followed immediately after C&W merged with DTZ to form one of the largest commercial real estate services firms in the world under the C&W brand. At DTZ, Jain was responsible for driving the vision and strategy for the company in India. His prime responsibility included practice, corporate/geographic and client development. After DTZ, Jain joined Space Matrix Design Consultants as the CEO of India and the Middle East. 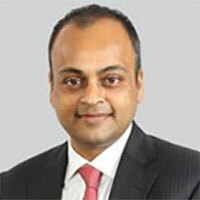 Jain has about 20 years of experience and has previously also worked with Jones Lang LaSalle India and CB Richard Ellis. Jain's predecessor Sanjay Dutt had joined C&W as managing director for a second stint in May 2012 from Jones Lang LaSalle India, where he worked for about three-and-a-half years as CEO-Business, according to his LinkedIn profile. He previously worked at C&W from 2001 to 2008. He has also worked with consultancy firm CBRE in his 22-year-long career. A few other professionals involved in the real estate sector have switched jobs recently. Nitin Goel, who managed real estate investments at homegrown private equity firm Milestone Capital, quit in April to join the non-banking finance arm of Edelweiss. Sanjay Grewal replaced Karthik Athreya at realty-focused NBFC Altico Capital as CEO late last year. These movements come at a time when the Indian real estate market is back on the radar of global investors with pension and sovereign funds pumping in capital across asset classes. The sector attracted $2.8 billion—a seven-year high—in investment in 2015, according to VCCEdge, the data research platform of VCCircle. The sector has also attracted a new set of investors from countries such as China and Japan.